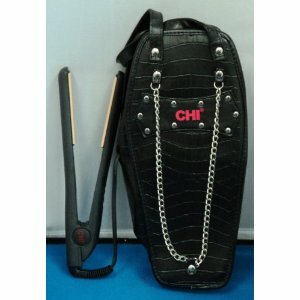 The Chi Digital Flat Iron looks like an overall good set of straighteners. It has a digital heat setting and comes with a cute little travel case. I have looked at a lot of reviews on the Chi Digital iron and have found many mixed opinions. Some ladies reviews on Folica say the Chi Digital irons have worked miracles on their curly/wavy hair making it feel like "silk". Others think it is great because of the digital reading function (this prevents heat damage to the hair) and because the iron eliminates bacteria once heated. Some unlucky ladies have said that it doesn't work on their curly/wavy hair and the Chi Has has actually fried the ends coursing it to turn white. A few unhappy Chi customers from the Folica site have also said not to buy the Chi as it's a waste of money. If you are interested in purchasing this Chi Ceramic Digital Iron it retails for around $80-$90. This is a good price for a Chi Flat Iron as some other models are a lot more expensive. You are currently browsing the archives for the Chi category.